Beef Broth. First time out. | Leasa's Place. Beef Broth. First time out. 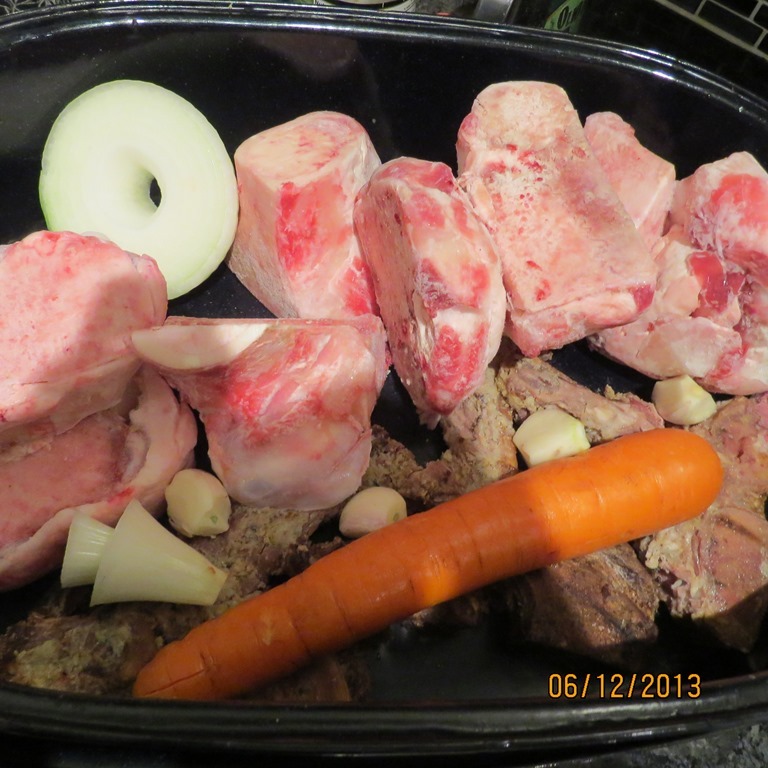 Hi all, well tonight I have started what I hope is a great beef broth. So far, the plan is to roast my bones for at least 2.5 hours tonight, put it in the fridge over night and continue it in the morning. I want to eventually pressure can it if I have enough volume and it’s delicious. My friend from cooking class Chef Willis will be giving me his recipe and some tips. He’s a good guy. I will continue this as I go forward. I think part of the trick is to take it easy, give it lots of time and cross your fingers! I have yet to boil soup bones and actually get a nicely flavoured broth. Apparently, it’s got a lot to do with patience. The turkey and chicken broth came out really nice, so here’s hoping. I think this will take about two to three days….but that’s okay because it can be going on without being watched continuously. Wish me luck!